The Henley Cricket Club Ball is nearly here! 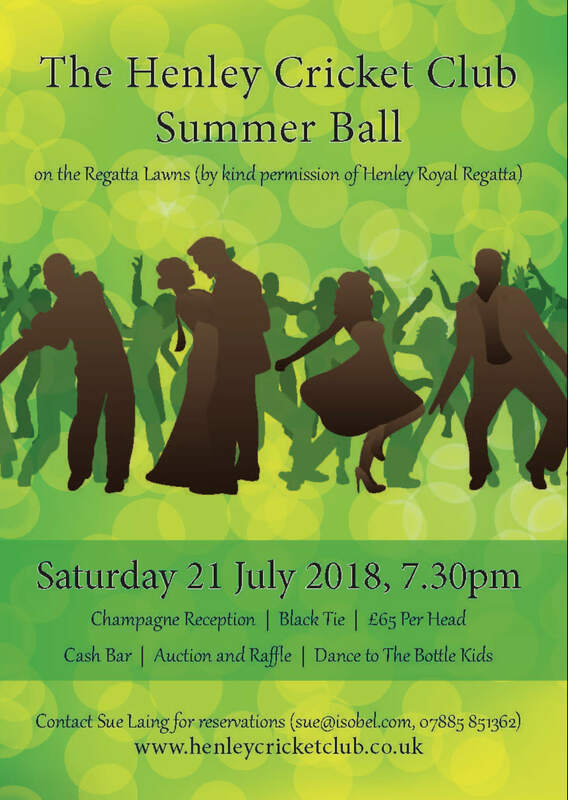 We’re all set for next Saturday, 21 July and as well as having sold out, with 280 people attending, we have 26 fantastic auction lots for the Summer Ball Ground Purchase Fundraising Project. Our fundraising target is £15,000. So that even non-attendees can join in and help us raise the target this is what is on offer. A fabulous 2-night mid-week stay - bed and breakfast for 2 people in the Luxury Thatched Treehouse at The Deer Park Country House Hotel near Honiton. A Box for 5 people at The Royal Albert Hall on 23 November 2018, for the Classical Spectacular. A week in a stunning Algarve three bedroom, three bathroom, villa in Carvoeiro . A day on the latest, luxury, addition to the Hobbs’ fleet. It seats eight, is self-drive, and you can climb aboard at 10.00 and not need to climb ashore until 18.00. Dinner for ten in Henley’s Hotel du Vin’s famous Bistro with five double bedrooms at your disposal. In case you would like to see the whole brochure and catalogue for the evening please see here - https://auctionofpromises.com/HenleyCCSummerBallAuction. We also have a raffle with 30 amazing prizes…if you would like to join in, then please contact me!